CINCINNATI - May 23, 2018 - PRLog -- Rounding out the first quarter of its 31st year in business, Eastern Personnel Services won a large contract with Great American Ball Park, to fill more than 350 seasonal jobs, with competitive wages of $10 to $11 an hour. Eastern, founded in 1987, also recently received four City of Cincinnati contracts to help the city fill various positions, from custodial to clerical and professional positions. While many staffing services focus on just one type of job – such as blue collar or clerical and just corporate head hunting, Eastern recruits for nearly all types of positions. "What sets us apart is that we provide staffing for all types of positions -- professional jobs, nonprofessional, temp-to-hire, contract, direct hire and professional search," said Angelita Moreno Jones, owner of Eastern Personnel Services. "Eastern has always focused on creating a strong local presence and forming lasting relationships with area employers and job candidates. Jones is a business trailblazer in the Tri-State. 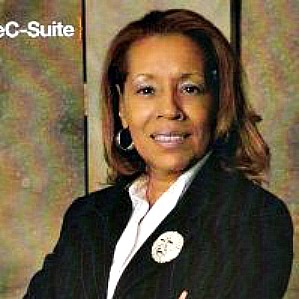 She was one of the founding members of the Greater Cincinnati-Northern Kentucky African American Chamber of Commerce, serving as president of the chamber's board several times. Angelita is known for giving new and struggling small businesses a helping hand, and supporting small, minority and women-owned businesses, by utilizing them almost exclusively as contractors to support her business. Jones' awards and recognitions include: Woman Entrepreneur of the Year, YWCA Career Woman of Achievement, Mayor's Hometown Hero Award, Leading Women's Award, Unsung Heroine Award from Sigma Gamma Rho Sorority, DaDa Rafiki Award, CEG Business of the Year Award and Phenomenal Woman Award. In 2017, Angelita and Eastern were awarded a Sustainability Award from the City of Cincinnati, Hero of the Year Award from the Midwest Regional Sustainability Summit, Top Business of the Year from the Collective Empowerment Group, and the Community Service Award from I Hear Music's Legend's Ball. Jones is a graduate of Leadership Cincinnati, a SCORE Counselor and Vice Chair of Union Baptist Church's Board. Eastern Personnel Services won a Spectrum Business Award for Excellence In Customer Service again this year – the fourth year in a row. (The Spectrum Award is sponsored by City Beat News.) Eastern is one of Cincinnati's oldest and successful African American owned service businesses. Eastern Personnel Services gives back to the community in many ways, such as providing free job training programs. Current programs include a 10-week "Concrete Construction Training Program," in cooperation with Franklin Leadership Academy, to train men and women for careers in concrete construction, and ongoing Banquet Server Training. Contact Eastern Personnel Service, located at 619 Central Ave., 45202, at 513-421-4666 or www.easternhires.com . Premier CEO Pete McConney Receives Urban League's Prestigious "Journey Award"